Tent Material: Nylon. Capacity: 1 person. We believe that no usable gear should be thrown out or neglected, it should be enjoyed by a new user. Number of doors: 1. Item Condition: 5 out of 5. We serve as an outlet for the cycling and outdoor community to turn over their no longer needed gear. New! 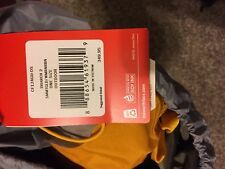 The North Face Mica FL 2 Tent Yellow !! New! The North Face Mica FL 2 Tent Yellow !!. Condition is New. Shipped with FedEx Ground or FedEx Home Delivery. 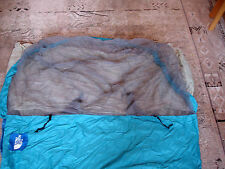 Bivy Sack ~ Sleeping Bag Cover. Light weight Stuffs into it's own attached pocket. I found it too sticky to sleep in with out sleep sack or sleep bag. It is sticky (to keep sleeping bag in place?). sleeping bag into easier. Brand new never used. Assembled once for photos. Sold as is no returns. Footprint included.